A little time spent on your Dirt Bike setup beforehand can prevent a fun day from turning into a day you want to forget. 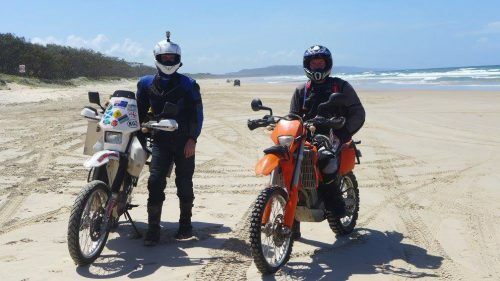 You can get to some pretty remote areas on a dirt bike, and it’s not like you can call for a breakdown vehicle if you’re miles from the road. Thankfully now most people carry mobile phones, but there’s not always good coverage in some areas, so a little time in the workshop can make your ride a whole lot more enjoyable. There are a few basic things I check before heading out. Keeping your bike in good working order is easy, there are just a few tricks to know. One of the biggest tips is to read your owners manual. Bikes are a lot more complex now than they were before water cooling, hydraulic brakes, adjustable suspension and high-performance engines. Here’s a brief list of the basic checks you should do before every trail ride. “Oil is cheap, engines aren’t”. A quick visual check of the inspection eye should be done before every ride. Oil change intervals of 3000km should be maximum if you ride a single cylinder bike. Even with the high-quality oils available today, the high level of heat generated from a single cylinder engine gives the oil a workout. 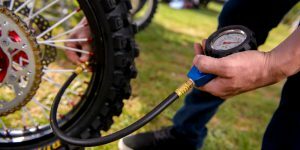 Check the air pressure in your tires before every ride. As a general rule, 14 to 16 psi is good for most terrain. The higher the pressure, the less the chance of a puncture, but the rougher the ride. If the trails are rocky, I always opt for higher pressures. Check your rim-locks are tight. If the tire spins it will rip the valve out. 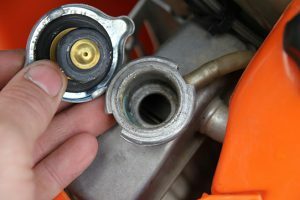 A handy tip is to wind the valve-stem nut up against the valve cap. 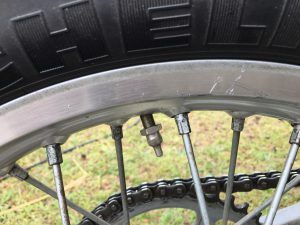 If the tire moves on the rim, you will notice it easily as the valve will be at an angle. Check the spoke tension often. Most people just tap the spokes with a screwdriver, and a dull sound will indicate a loose spoke. 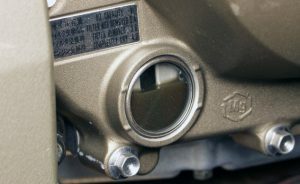 Check the levels of the brake and clutch fluids at the master cylinder inspection eye on the handlebars, and always use the recommended oil as per your owners manual. 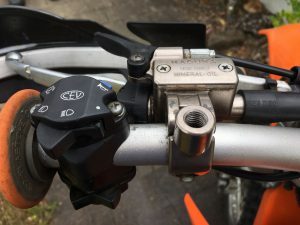 My KTM uses mineral oil, and it usually varies on different bikes. There’s nothing worse than having to ride home with no clutch. 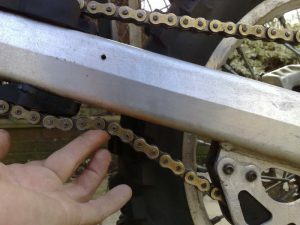 Refer to your owner’s manual for the correct chain tension and check it before every ride. Too tight and you can damage the front sprocket engine shaft, and cause excessive wear on the chain and sprockets. Too slack and you can derail the chain. Keep an eye on the joining clip, as it can wear against the chain guides and get thin enough to break. The opening of the clip should always be facing the rear of the bike. Always carry a spare joiner. It’s a good idea to use a thread lock like ‘Loctite’ on your sprocket bolts. Check the level of coolant in the radiator. It’s also a good idea to look over the hoses and clamps as they tend to come loose frequently. Do not put car radiator coolant into your bike. Make sure you get one specifically for bikes. The coolant level should be just above the fins. There are many options open to you to get your bike to the trails or track if you don’t want to ride there, or can’t because your bike is unregistered. 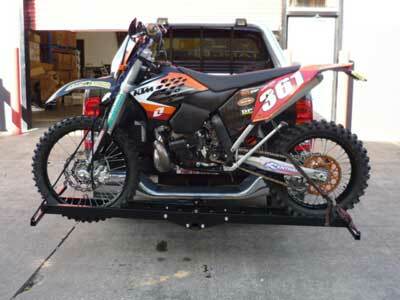 If you own a ute then transporting your bike is very easy. You just need a good set of tie downs and a loading ramp. 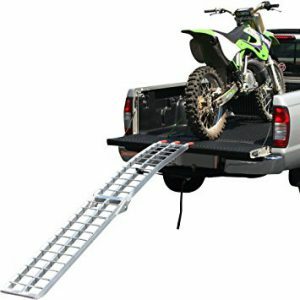 Most utes aren’t long enough to load the bike straight, so you’ll have to either load it diagonally or leave the tailgate down, which does give you the extra space to load the second bike. When looking to buy a loading ramp, don’t make the mistake I made and buy a really narrow ramp. Most of them fold in half and the narrow ramps tend to rotate if the bike isn’t dead center on the ramp. 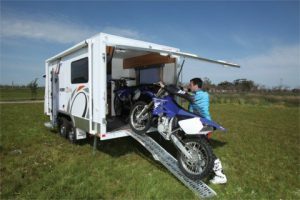 It can make loading and unloading a real hassle, especially if your vehicle has a high tray like most of the 4WD vehicles these days. I can highly recommend the Black Widow loading ramp, it has made loading and unloading a breeze. 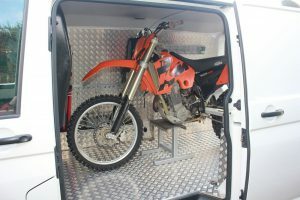 If you only have one bike to transport and don’t have a van or utility vehicle, the towbar mounted bike racks are a simple alternative. 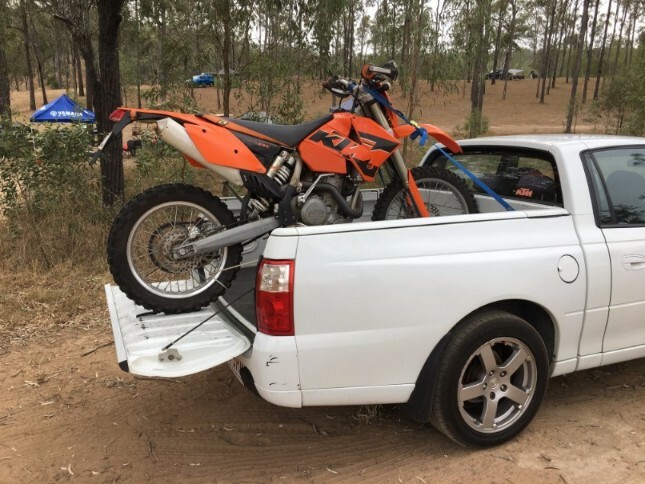 You do need to have a vehicle like a large 4WD with heavy-duty shocks, as a full-size dirt bike creates quite a download on the tow-bar. I once broke the chassis of a car above the rear axle and drove home before noticing it. The car nearly snapped in half! An extremely efficient way of transporting your bikes. They generally have three channels and welded anchor points, so you can easily get three bikes on it. This is my method of transport some of the time, and we generally put the middle bike in facing backward to avoid the handlebars clashing, and make it easier to thread through the tie downs. This is about the best you can do that can be towed by the family car. Most will fit three bikes and all your gear. The big advantage is that it’s secure and out of the elements. 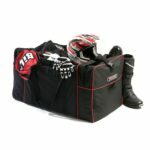 Gear bags, boots, Petrol containers, tools – all can be stored around the bikes. Vans are the ultimate, and the choice for professional riders doing lots of traveling. They eliminate the hassles of towing a trailer and provide the security and protection of an enclosed trailer. If you’re a sponsored rider, the van provides the perfect solution, especially for the long trips. The body panels provide useful space for sponsor’s logos. If you’re doing lots of overnight, or weekend trips, the Jayco Base Station, or it’s smaller, lighter version, the Work N Play is the perfect way of combining riding and camping in comfort. 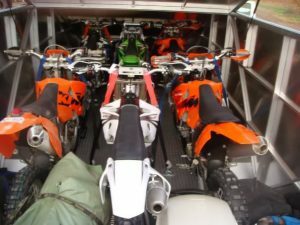 They can sleep up to six, and get three bikes in the back, and all your gear. You can cook, sleep and shower like you’re at home, and you’re not missing out on your home comforts. Your helmet is the single most important piece of riding equipment. It’s astonishing to think that in some states of the USA a helmet is optional. 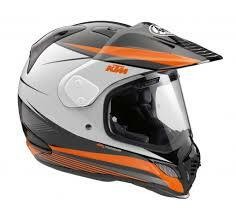 Your helmet should be firm fitting and feel comfortable. Ask the salesperson at your local bike store if you are unsure. 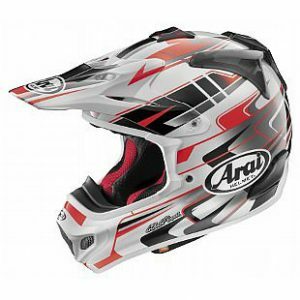 Try on a range of helmets of different styles and brands. You will be trusting this thing with your life, so get the best you can afford. Most helmets these days come with a removable liner, so it can be washed. If you’re an adventure rider, you will want to go for a helmet that has a built-in face shield, which is more comfortable for road riding. 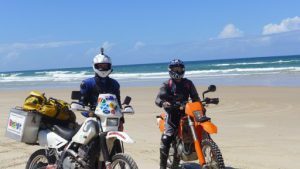 A good Dual Sport helmet has the flexibility to be used on and off road by allowing you to use various combinations of visor peak/face shield/goggles depending on the type of riding you will be doing. There’s a huge selection of goggles available these days. Anti-fog lenses are a good idea if you ride in wet weather. 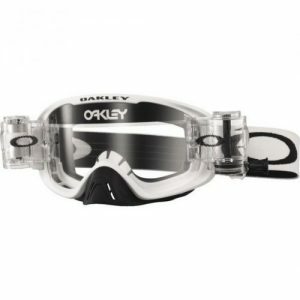 Some come with nose guards, tinted lenses, tear off attachments, and also goggles designed for prescription lenses. If you must remove your goggles while riding, place them backwards on your helmet, with the strap under the peak. This will keep most of the elements from damaging them. Never dangle them around your neck or over the handlebars. The goggles I use and can highly recommend are Oakley 02 MX. 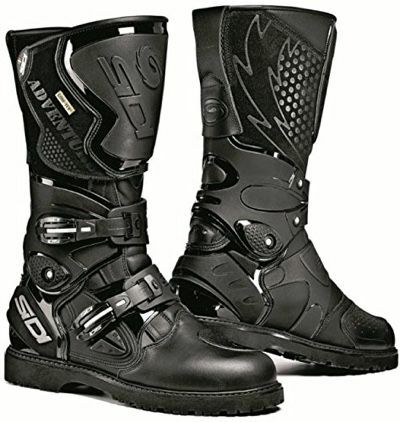 A good quality pair of boots will protect your feet, ankles and lower leg. Always buy the best boot you can afford. Try on as many styles as possible. Take your knee guards with you to ensure there’s enough room for your leg and the guard. 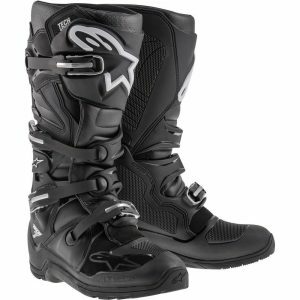 Adventure Riding boots usually have less protection to your lower leg because they are designed for your riding pants to fit over the boot. If you’ve ever copped a flinging branch or flying stone on your fingers, you’ll understand the importance of good gloves, not only in a crash. 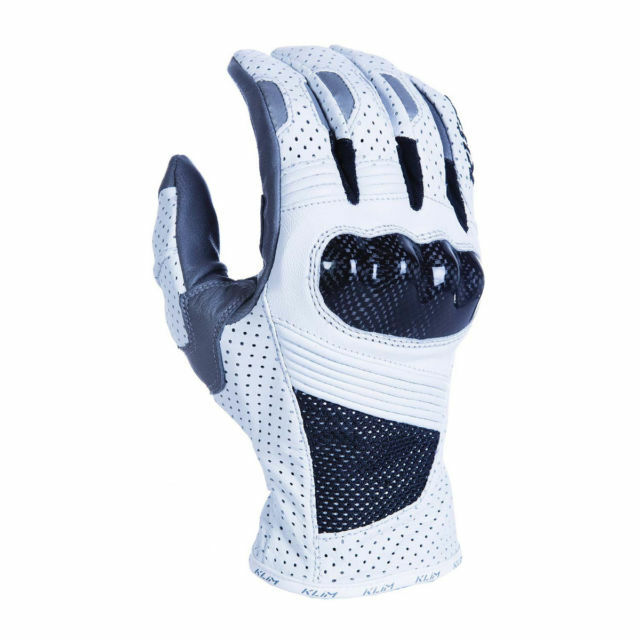 There’s a large range of dirt bike gloves available for every style of riding. It only takes one crash without gloves to realize the value of a good pair of gloves. 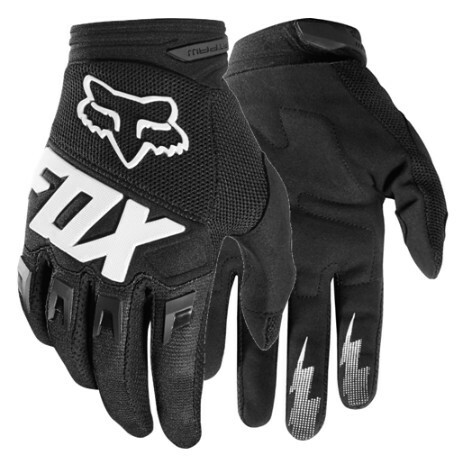 For trail and motocross riders, gloves are much lighter and softer, with the only padding being over the knuckles and fingers. Generally, adventure riding gloves are warmer and extend further up the forearm. They’re much more comfortable on the long road trips. Most jerseys are constructed from polyester which is easy to clean, light to wear, and quick drying if you happen to get soaked while riding. 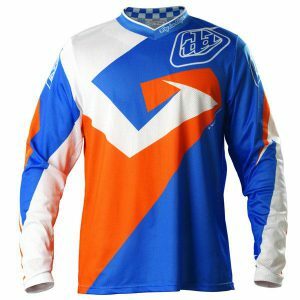 A good jersey will have soft collars and cuffs, mesh and spandex panels, and some light padding on the elbows. Always tuck your jersey into your riding pants, this will prevent it from riding up your back if you go skidding down the trail after your bike has bucked you off. If you’re not transporting your bike to the trails, but riding it on the road, a good off-road jacket is essential. There is a wide range of styles and types available depending on the type of riding you’ll be doing. What is good on the road will not be as suitable offroad, it needs to be a lot more rugged to withstand the trails. 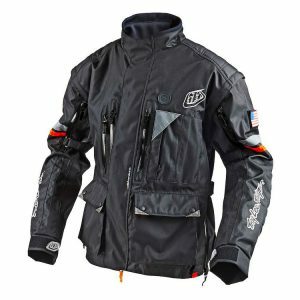 An Adventure riding jacket is ideal if you are doing a lot of road riding, but you still need the rugged construction to deal with offroad conditions. Removable sleeves are a bonus if it is very warm, and adequate storage pockets and waterproofing is essential. Good ride pants are designed to fit when in the riding position, with a bent knee and higher tail to keep your backside covered. 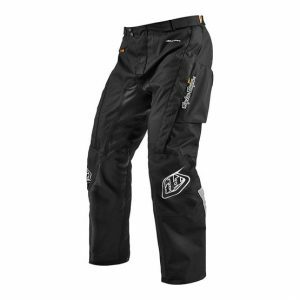 Ride pants generally have stretch panels and venting to keep you cool. Always wear your knee protectors inside the pants, so keep this in mind when buying them. Not all ride pants are the same. Adventure style pants are looser fitting, and have multiple pockets, waterproof lining, and are designed to be worn over the boot. 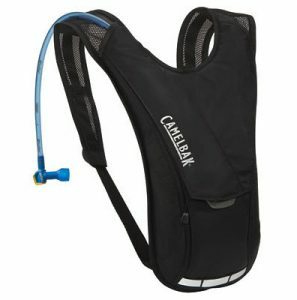 Camelback started this concept about 20 years ago and their name has become synonymous with hydration packs. They usually have a capacity of about 2 liters, and a few pockets for carrying your car keys, tools, and some snacks. An important thing to consider when buying a hydration pack is the ease of which the bladder can be cleaned. Use only water in them, and after your ride remove the bladder, wash it, dry it and store it in a dry place. Bacteria and mold can grow very quickly and can make you sick. Sterilizing tablets can be purchased at a pharmacy. 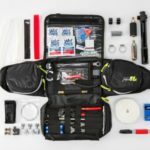 For more information on Hydration Packs, check out my post: Hydration Pack Comparison – What Type is Best For You? 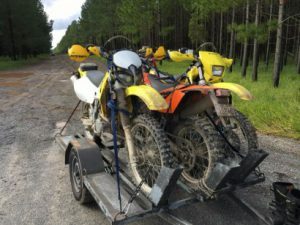 Dirt bike riding, whether your interest is Trail riding, Enduro, Motocross, or Adventure Riding, is one of the most exhilarating activities on earth. We seem to find our way into whichever sector of motorcycling that has chosen us. The freedom you feel, the places you can get to, the thrill of speed, or just cruising and enjoying the view can easily become more of a lifestyle. If there is anything I can help you with, please leave a message in the comments section below. Thank you for a wealth of information. 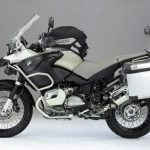 I am embarking on buying my first bike. I have decided on the Kawasaki KLR650 after speaking with some of my friends that have ridden for years. The basic idea is that it is a single cylinder with little frills, so not to much can go wrong, (wont be to costly). Hi Morne. Thanks for your feedback. Have you bought that Kawasaki yet? You live in a great part of the world for adventure riding. If you want my biased opinion…DR650 is the way to go if you want bullet proof reliability. I believe that KLR’s have a reputation for needing serious engine work after not very long. This article took me back to days when I was a kid riding my Honda 50. I still have the Honda 50 and recently passed it down to my nephew. It still runs just as good as the day I brought it home when I was a kid. My brother and I are teaching him how to maintain it. I forwarded this article to my nephew so he has a reference on maintenance. Thanks for the great article. It brought back lots of good memories. I also saved your site to my favorites. Hi Jack. Thanks for your comments. It’s great that you still have the Honda 50. It must be a collector’s bike by now. I wish I still had some of my old bikes. Glad my website was of some help to your nephew. I’m still adding to it, so there will be lots more useful stuff coming up. Hi Greg, ‘Cool!’ was my first reaction! The bikes! The gadgets! The gears! Every guy’s dream man! A very interesting and thorough review. Many pratical tips. The safety aspects are well covered. Biking, I’m putting this on my bucket list. Gotta get that helmet. And the back pack. And the trailer… And the truck…. Hi Song. Thanks for your comments. Yes, it really is something you have to try. There’s so many forms of riding motorbikes, something for all types.